ella minnow pea. Breaking Bread with Third Coast Creative, Developmental Lab. 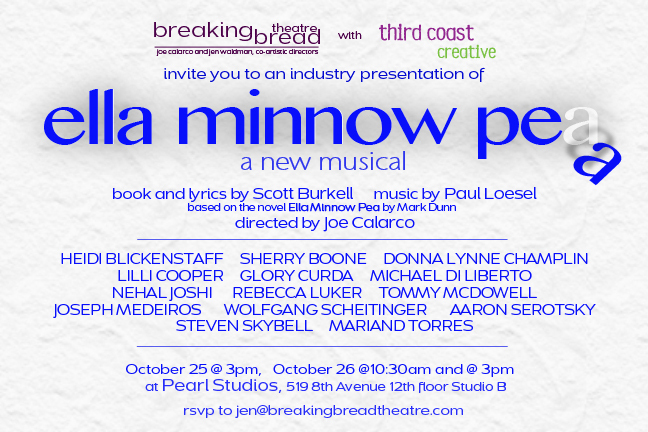 A New Musical based on the book, “Ella Minnow Pea”, by Mark Dunn. Music by Paul Loesel, lyrics/book adaptation by Scott Burkell. Directed by Joe Calarco.